Skin Lightening Combo Glutone 1000 with Escor Z has Glutathione as the primary ingredient. Glutathione is a major antioxidant and it is one of the excellent lightening agent as well. 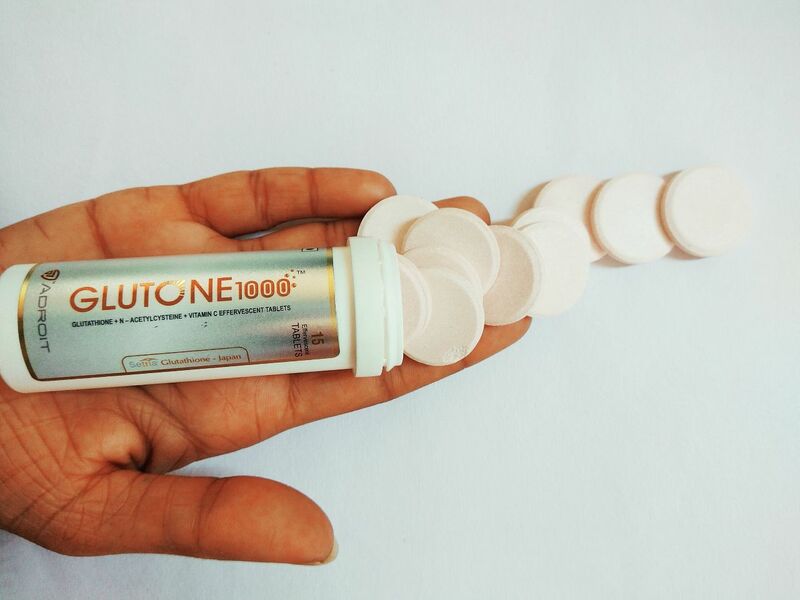 Glutathione is known to lighten melanin pigment and it lightens any pigmentation issues. This product is known to reduce acne scars and pimples over time. This ingredient helps with skin pigmentation as well. My friend incorporated these skin lightening agents after a salon session with her favorite salon. The salon girl recommended this skin whitening tablets as a part of her bridal skin care routine. My friend has a sensitive skin but the tablets never reacted on her skin or cause any breakouts. She had major pigmentation issues and her skin was also tanned. Within 1 month of the usage, the tan got reduced and the pigmentation was also well taken care of. This is one of the best skin care supplement available in the market as with prolonged usage you will be able to see noticeable changes and improvement in your skin texture in the long run. There will be a lot improvement in the blemishes and black spots of your skin. 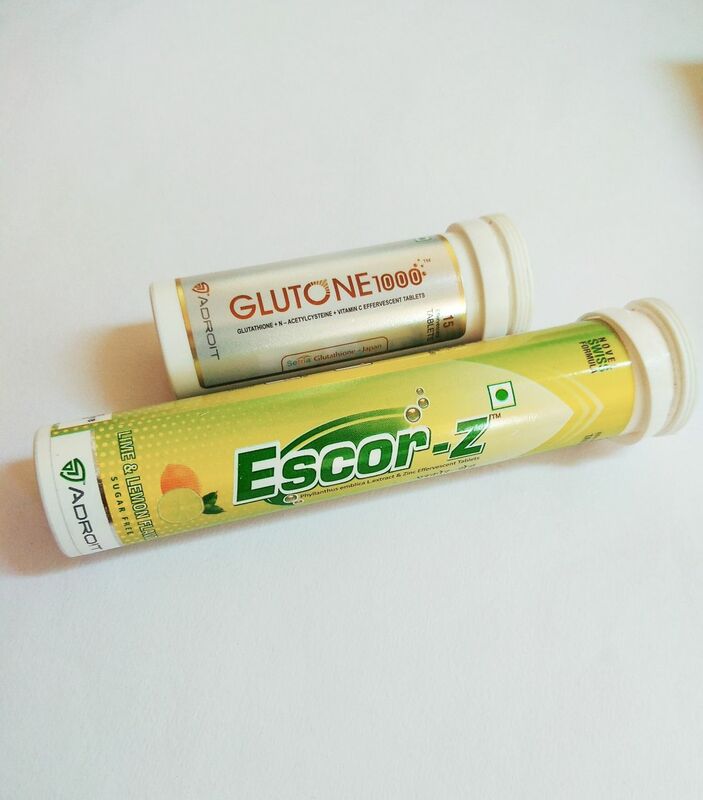 How to consume – You need to consume 1 tablet of glutone 1000 and 1 tablet of escor Z in a glass of water. You need to give it at least 2-3 minutes to get dissolved in water completely. And then consume the water. Consume it every day on an empty stomach. You need a minimum of 4 months of daily consumption to get the best results. 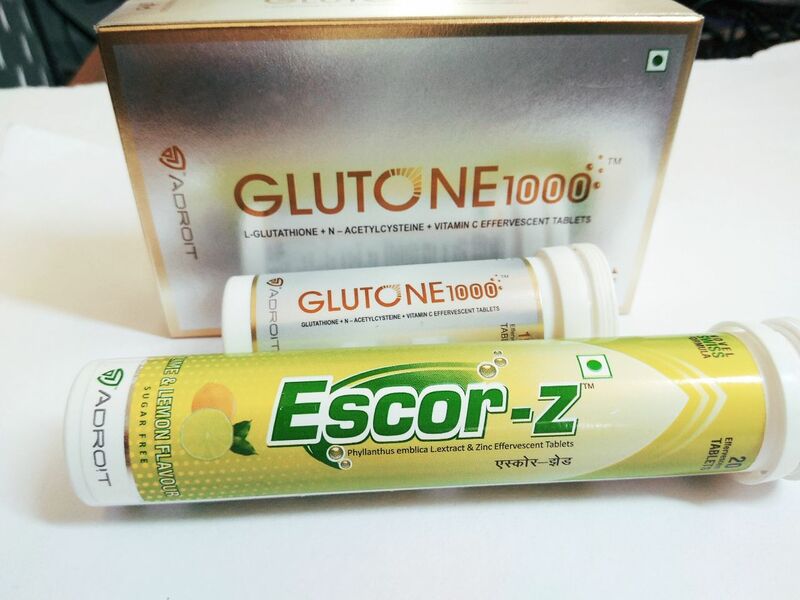 After my friend’s amazing results from - Skin Lightening Combo Glutone 1000 with Escor Z. I got my bottle of Glutone supplements. 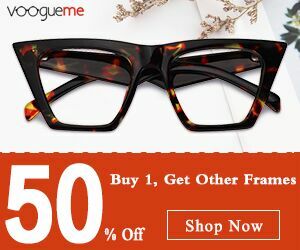 I have been using it for a month and I see some improvement in my skin tone. My acne scars has started to fade and my skin looks healthier than before. 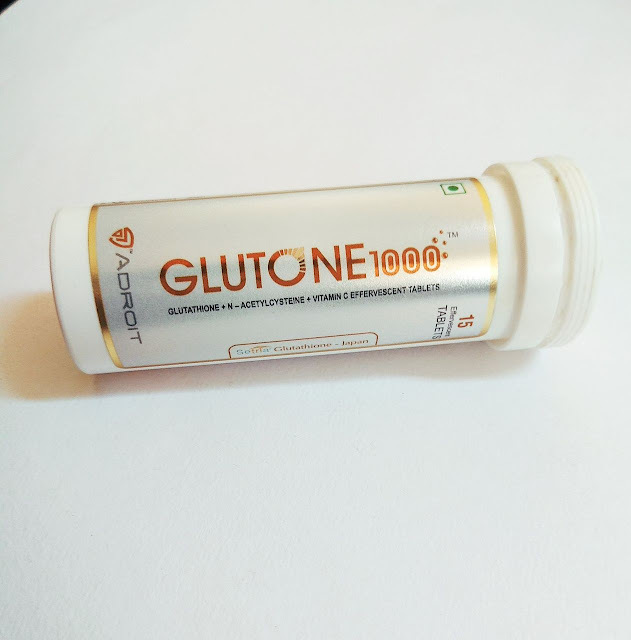 Have you tried Glutathione supplements? What is your favorite anti-oxidant supplement?